On Ustad Bismillah Khan’s 103rd birth anniversary, ThePrint remembers him as a ‘delicious paradox’ for whom music had no caste or religion. 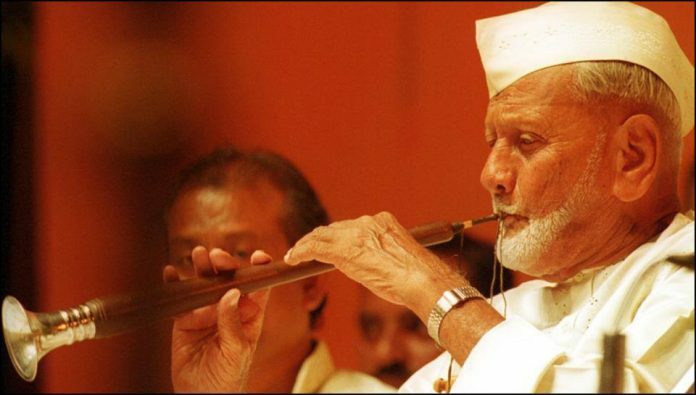 New Delhi: Shehnai — a wind musical instrument — was largely reserved for weddings and other celebrations before Ustad Bismillah Khan elevated its status in Indian classical music and took it to a global audience. At the time of his death, The Guardian called him “the greatest exponent of the shehnai”. Khan was born on 21 March 1916 in Buxar city of Bihar in the midst of the First World War. In his lifetime, he saw World War II and the Partition of India, but never felt perturbed seeing these developments around him as long as he had his “begum” — the shehnai — by his side. Khan’s love for his Benaras is legendary. “I can never even think of leaving Benaras,” Khan had told ThePrint editor-in-chief Shekhar Gupta in an interview for NDTV’s Walk The Talk show, when asked if at the time of Partition his family ever thought of moving to Pakistan. It was the city where he spent his teenage years and, during that time, he began learning the shenhai, also known as an ‘Oboe’, under his guru Ali Baksh, who played in the Kashi Vishwanath temple. “If anyone wants to meet me, they will have to come here. I will not go anywhere, whether it’s a raja, a maharaja, or anyone else,” he said. Khan’s attachment to Benaras or Varanasi runs deep, and understandably so. His ancestors were all musicians who performed in temples for generations, earning a pittance. During those times, musicians performing in temples were not regarded with much reverence. Khan’s extraordinary adoration and dedication to the instrument — refining its sound and softness — brought him the world’s attention, and earned him the title ‘ustad’, or maestro, which is now a permanent prefix to his name. The Ustad found his creative call in a temple in Benaras, where at the age of 12, while praying in the temple, Bismillah “received a signal” from Balaji, an avatar of lord Vishnu, who told him: ‘Play, son’”, The Telegraph (UK) wrote in his obituary. That he was a Muslim who took intense pleasure in music in a Hindu city made him a “delicious paradox that can only be Indian”, said historian Ramachandra Guha. More importantly, it enforced in him a kind of secular spirit that no other artiste has so far been able to embody. An Iraqi maulana had once confronted Khan and said his music was blasphemous, since Islam considered it so. Khan’s rendition of the Raag Bhairav melds the traditional raag with praise for Allah. For Khan, music had no religion either — and this was a maxim by which he lived. He called himself a worshipper of Allah and Saraswati, and delighted in playing music for both equally. It’s no wonder then that Khan was handpicked by India’s first prime minister Jawaharlal Nehru to perform for the country from the ramparts of the Red Fort on the eve of the Independence on 14 August 1947. Khan took his craft personally and seriously, often refusing to play unless arrangements were made to his liking. It is one reason why he decided to quit making music for films. “They wanted me to do things their way. I said: Am I here to learn from you? I just packed up and quit. They think they have so much money — they’ll throw a bit here and there, and I will be ready to do whatever they want…They thought they would dictate terms—that I should do what they told me. It’s the other way around—I tell them what to do and they follow”, he told Gupta in the same interview. Khan’s music thrived just as well without the screens. He was awarded all the four highest civilian awards — the Padma Shri (1961), Padma Bhushan (1968), Padma Vibhushan (1980) and the Bharat Ratna (2001). He was also made a Fellow of the Sangeet Natak Akademi in 1994. Khan, however, led a very austere and minimalistic life till his death on 21 August 2006. The only material item that mattered to him was his shehnai, which he slept with and lovingly called ‘begum’ after the death of his wife. “This is such a thing that when I lift it, I start thinking from my heart. This is my companion,” he said.